We did it! 50,000 amazing SUBSCRIBERS! Thank you! Let's start the countdown to 100k! 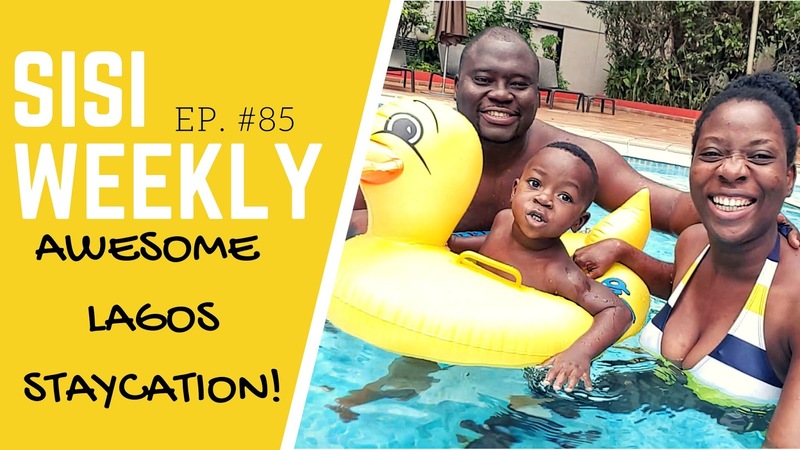 I remember dreaming about going on Vacation abroad, while that is still pending, a Staycation in the Diplomatic Suite of Sheraton Hotel Lagos helped us completely relax. Thank you Sheraton Hotel Lagos! I saw my husband in a totally new light...! Sisi I'm so happy for you,50,000 and still counting.love you more for your humilitty and cokery skill. What a wonderful vacation video! I especially liked the part where you all were in the swimming pool chilling. It's a good thing to take Tito out swimming and would encourage him to learn how to swim. Awwww. Congrats sis. Saw ur post on instagram where u posted a wedding party stuff of how u would behave when u reach 50k. Nice! I'm as elated as u are.